Rescued baby goats will often jump on participants' backs during the yoga classes. 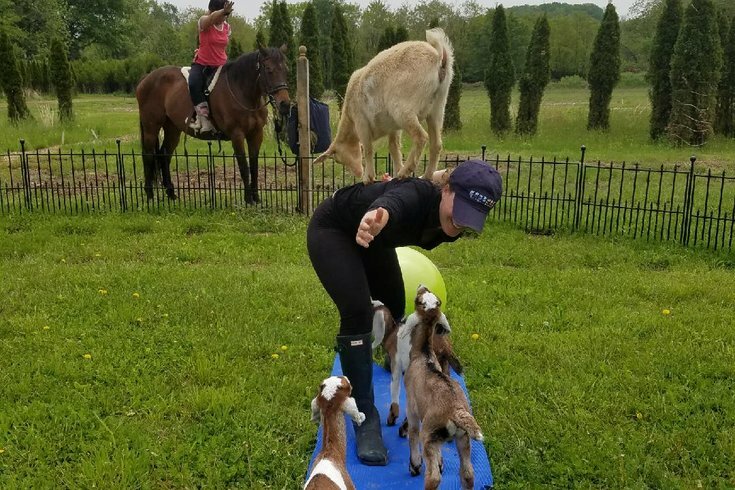 A farm in Montgomery County will now offer both goat yoga and horse yoga on Saturdays and Sundays. You've probably heard of goat yoga by now, where baby goats roam free during class, jumping on the backs of participants and finding ways to snuggle. 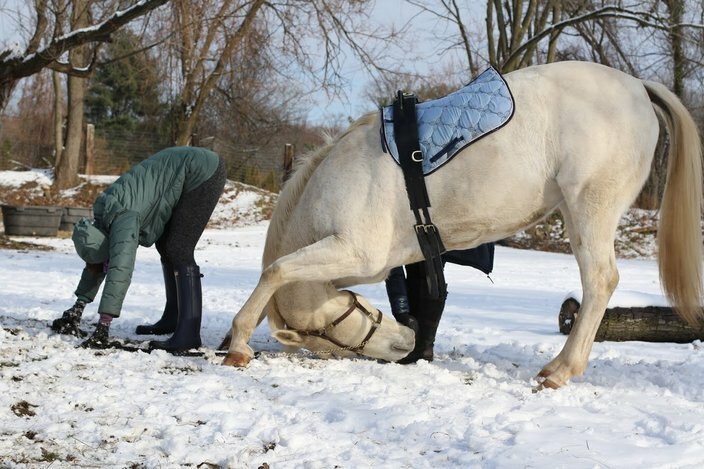 But have you heard of horse yoga? At the Maple Glen farm, you can enjoy yoga while on horseback or can practice poses on the ground, next to your designated horse. Try the downward dog pose together. The class schedule is currently available for goat yoga, grounded horse yoga and horseback yoga. Classes are offered at 9 a.m. or 5 p.m. Goat yoga is $29 per person and participants can feed the goats by bottle at the end. Horse yoga is between $49 and $59 per person. As a rescue-based organization, 100-percent of proceeds will go to the horses, goats and other rescued animals to cover expenses for their food, healthcare and home.